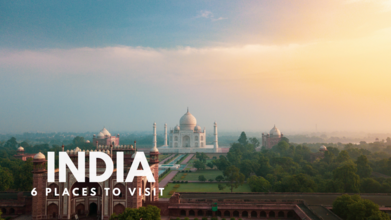 As a top cultural and tourim destination, India offers a variety of soul-stirring, historical, and natural attractions. The India-bound traveler will appreciate this wonderfully curated, aerial short list of must-see stops in this remarkable Drone Video of the Week nominee from videographer @surf.the.sky. The locations you will see, in order, are Panna Meena Kakun, Amer Fortress, and Hawa Mahal in Jaipur; Jodhpur Fort in Jodhpur; Udaipur City Palace in Udaipur; and the Taj Mahal in Agra.